Our very own Laser Exhibit Labels. 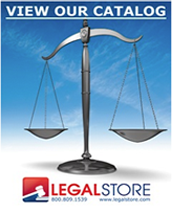 Create your own legal exhibit labels in seconds using Microsoft Word®, and your laser printer. Choice of four colors. Free downloadable template available. 1.5" x 1" with rounded corners, 50 labels per sheet, 250 labels per package. To download the Microsoft Word® template click here.